Do Immigrants Present Untapped Opportunity to Revitalize Communities? 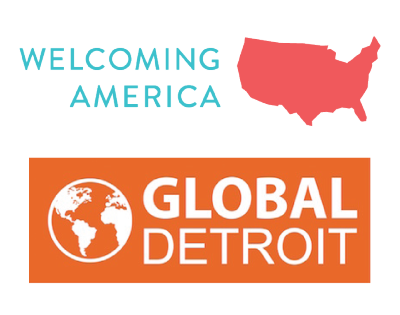 New research from Welcoming Economies Global Network and Fiscal Policy Institute demonstrates that immigrants should be an important component of vacant and distressed housing revitalization. This report and interactive tool show that immigrants have strong rates of potential home ownership in 23 target cities, and suggest that efforts that encourage homeownership and/or vacant property purchase could yield significant returns by targeting immigrant groups. How many immigrants in your city could buy and rehab an abandoned property? *Data for Columbus, York, Lafayette and Utica are for metro areas rather than cities, due to limitations in the geographic definitions in the Census microdata files. **"Other Households" includes Mixed-Race Households, Mixed-Race Individuals, Native American and Alaskan Native, and People of "Other" Race. Mortgage is the annualized cost of a 30-year mortgage at 4 percent interest for financing of the full price of the home. See text for downpayment and other considerations. Household income needed to afford costs is rounded to nearest $5,000. While 30 percent of income is generally considered a guideline of affordability, to be conservative this report considers households for whom housing expenses would be 27 percent of income. 20th percentile housing value is taken from the American Community Survey estimate. The equivalent to a $50,000 house in Detroit is calculated by multiplying $50,000 times the ratio of the median housing value in the city to the median housing value in Detroit.